Have you ever wanted a Lake House? This is it! Take a look at this exceptionally nice home with over 2500 sq. 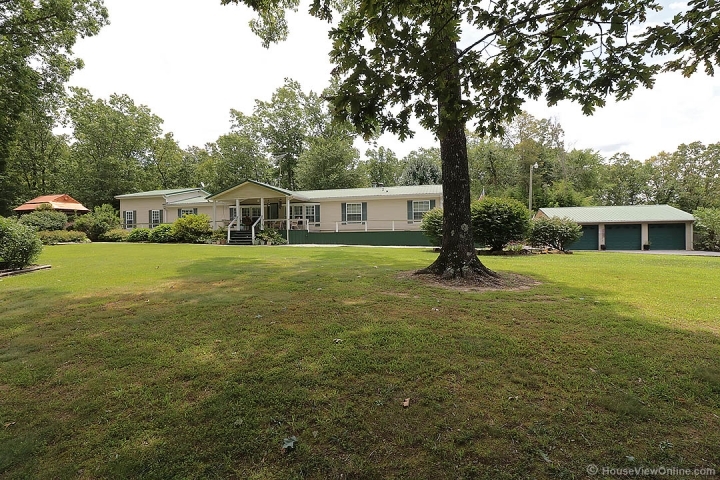 ft. sitting on 6.53 wooded acres. Living, dining, spacious kitchen with all appliances including the washer/dryer and tons of storage, 4 bedrooms, 3 baths, large family room with lots of windows and a sunporch for relaxing and enjoying the view. Outside you will find an 832 sq. ft. 3 car detached garage, an 836 sq. ft. shop with overhead door, a 114 sq. ft. utility shed and another small portable building. Imagine watching the sunset while sitting on the wraparound deck or in one of the two gazebos, one has a unique copper top. The lake is calling.